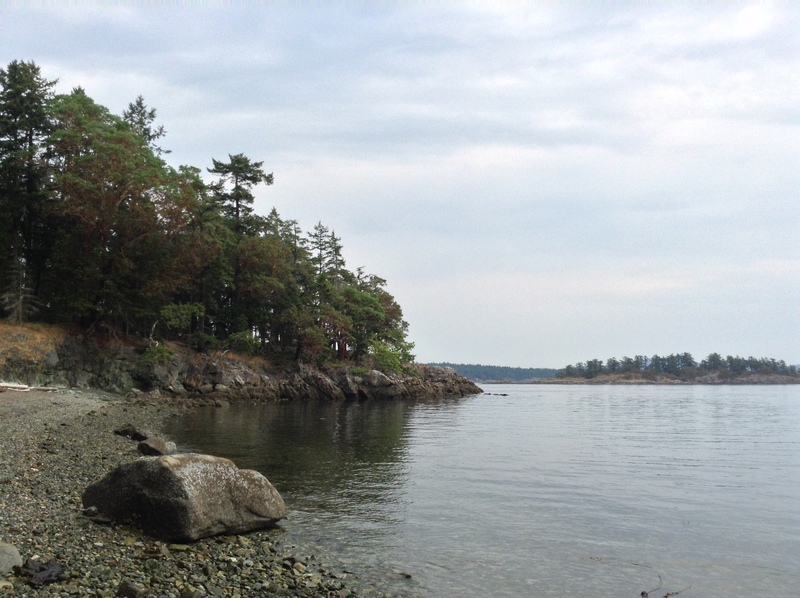 When you come to Salt Spring Island visiting Ruckle Park is a must! One of the most memorable experiences you could share with your family on Salt Spring Island is spending time in Ruckle Provincial park. Ruckle is the largest park on the island (1,200 acres) and offers much for visitors: picnics, swimming, wildlife viewing and of course hiking. 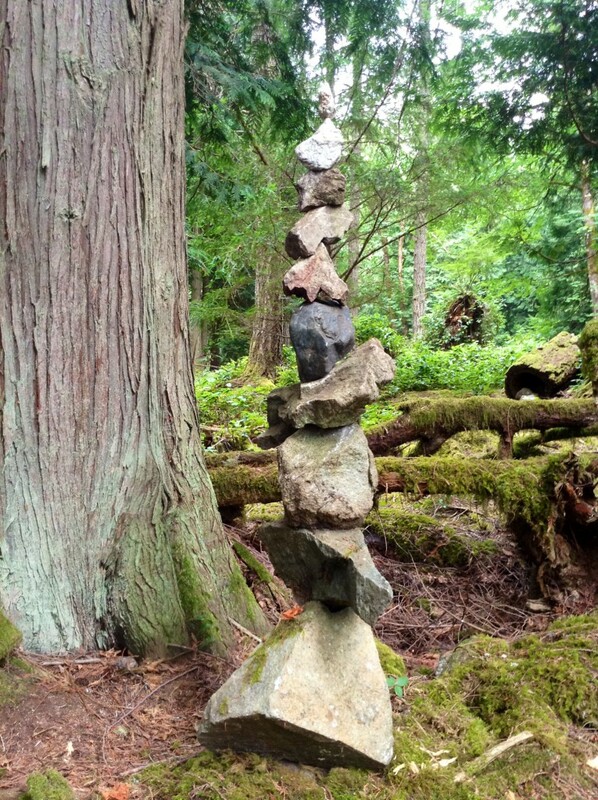 Are you looking for something to do on Salt Spring Island? This park has 7 kilometres of shoreline to explore which includes secluded sandy beaches, coves, rocky cliffs and day time picnic areas. Take a closer look, the rocks are not glued together! A balancing act. What artist surprises will you come across? 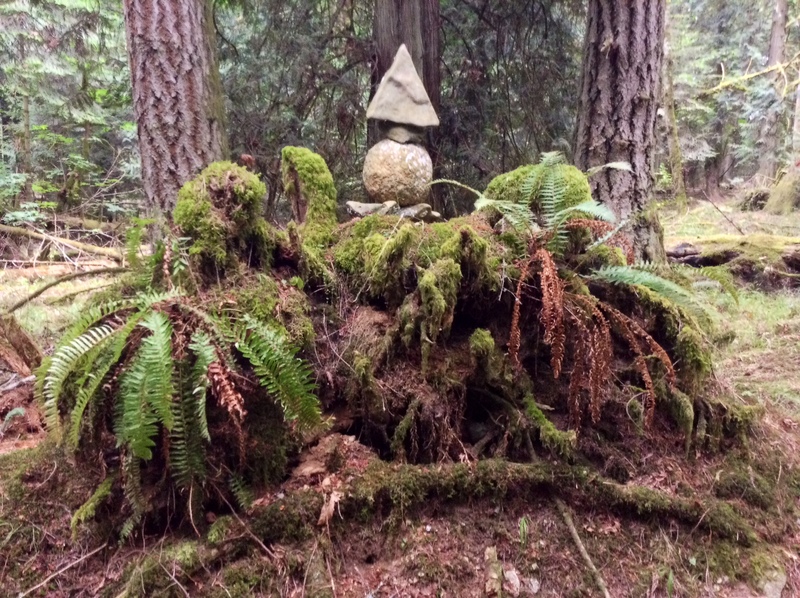 You will find large western red cedars and forest floors carpeted with moss and sword ferns. Even in the driest months of the year, the surroundings are bursting with deep green hues. This is also one of the most abundant wildlife viewing areas on Salt Spring Island. Keep an eye out for sea lions and killer whales in the ocean, you may even see a river otter darting along the rocky shoreline. Children love to explore the tidal pools filled with crabs and mussels. Have you ever see a purple starfish up close and person? Ruckle park also has a rich history to learn about. This park is not just trees and ocean, there is also an active farm, which all visitors are welcome to visit and explore. You don’t want to miss this park! 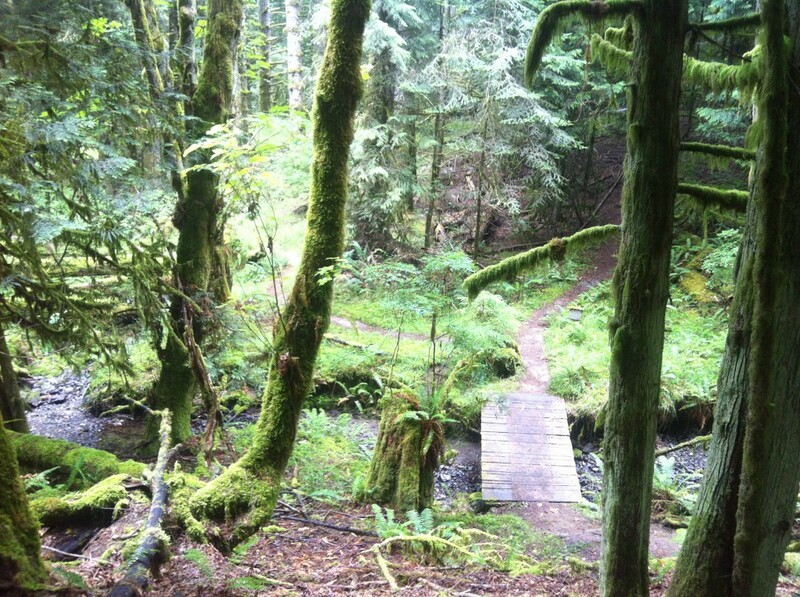 Get out there and explore Ruckle Park on Salt Spring Island.